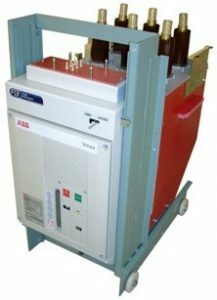 The Type VOR-S retrofit circuit breaker range has been designed for total reliability. Utilising the ABB V-max vacuum circuit breaker, the VOR-S has a proven global track record designed to achieve trouble-free performance over many thousands of maintenance free operations. Incorporates new primary and secondary contacts, bushings etc. Complete manufacture and delivery to site without the need to switch off your existing unit until the new one is available. Includes many options and unique features above your original specification.